Like to write? Even if you didn't study writing, communications, or journalism in college, you can still earn money with online freelance writing jobs. Freelance writing is one of the best ways to make money online because it's flexible work that often pays well. There are so many websites and businesses looking for quality content writers so this job is always in demand. 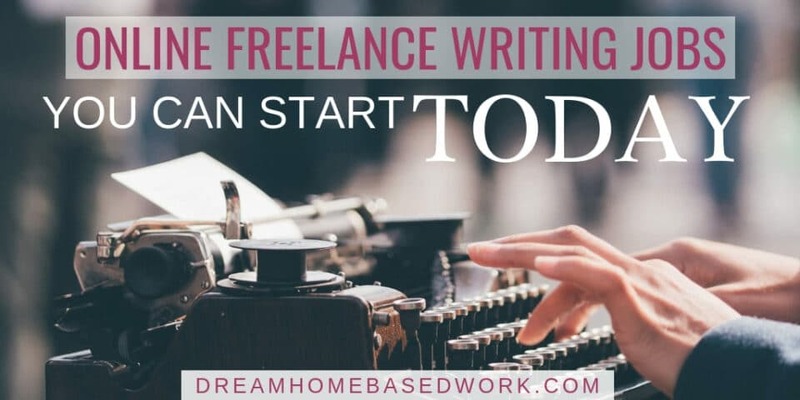 Another thing I love about online freelance writing jobs is that you can get started quickly and make money ASAP. Here are some of the best online freelance writing jobs that you can start today. Upwork is a freelance job board site that freelance writers can use to find jobs that fit their interest and skill level. It only takes a few minutes to sign up for Upwork. Then, you can start browsing for freelance writing opportunities to apply to. I like Upwork because it's an easy platform to use and you can also charge what you want. When you see a project you like, you can send a pitch and a quote for your rate. If selected, you can start working ASAP and there's even an option to request a 50% deposit from the client upfront. This means you can get paid quickly before the work is even completed. You just want to do a good job and submit quality content pieces so you can get good reviews and continue searching for more clients. People Per Hour is an outsourcing site that hires freelancers to complete a variety of tasks. Freelance writing is one of the commonly requested tasks so writers can join the site and seek out legitimate writing opportunities. Gig opportunities are updated regularly but you'll need to sign up to be able to apply. People Per Hour vets their freelancers so you'll need to submit an application and prove your skills. Your profile will be reviewed and approved by the company's moderation team to ensure the best freelancers are matched with appropriate projects. According to their site, freelancers can make at least $35 per hour depending on the project they choose. AirTasker is similar to Upwork. People post details on the writing jobs they need to be completed. Then, you send your offer with your desired rate. A lot of the writing tasks are internationally based, but they pay well. You can find projects including resume writing, content writing, copywriting, and even professional bio writing. There are even a few proofreading and editing positions. If you can work well on a tight deadline and have the bandwidth, you can get paid even faster. Verbilo provides a great way for new writers to gain skills, build their portfolio, and make money doing it. Verbilo finds the writing gigs, all you have to do is complete the job and earn great reviews. Verbilo offers a variety of online freelance writing jobs ranging from 300 words to 3,000 words. New writers have to complete a few short-form jobs to get started. Then, once you start earning 5-star reviews for your work, you'll gain access to longer and higher-paying jobs. While you do have to prove your skills, this is still a great way to earn money writing online quickly and secure more consistent and long-term gigs in the future. Check out this post – Get Paid To Write Poetry Online: Earn Extra Cash Every Month! Writer's Domain is a trusted site that pays you to write about the things you love and enjoy. The site was launched in 2011 and helps match top writing talent worldwide with thousands of writing assignments each month. Writer's Domain works with small business clients and provides writing job opportunities on a first-come, first-serve basis. Our platform operates on a first-come, first-served basis, so if there's work available, you can write as much as you want. You can get set up in 3 easy steps. Just register, submit a writing sample, then start working and get paid. The compensation you earn depends on your rating. The only downside of Writer's Domain is that the jobs don't pay that well if you are a writer with a lower rating so it's best to keep a high rating. Test Broker is site that pays freelancers writers cash for every word they write. Clients submit projects and Textbroker matches freelancers with the right projects. 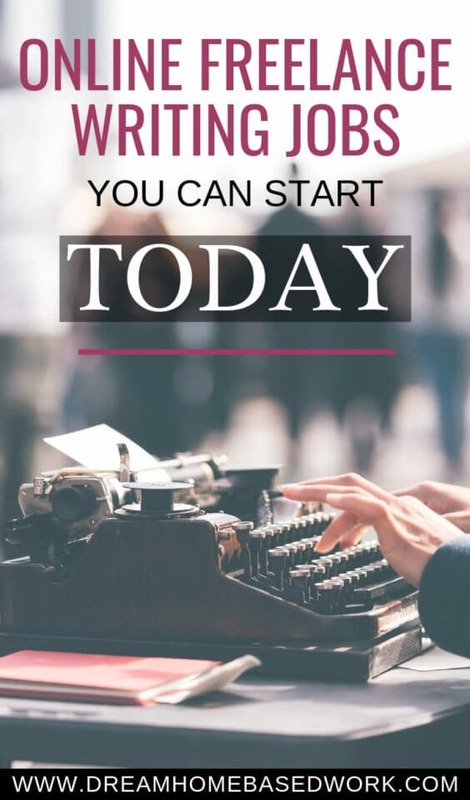 To get started, all you need to do is register for free and verify your U.S. citizenship, submit a writing sample, get your rating, complete your author profile, then start writing and earning money. If you want to start earning money from freelance writing, what are you waiting for? These 6 sites will allow you to sign up for free and start making money ASAP.